The new lucky owner will also take home the helmet with goggles, brown bag, and Samsonite briefcase. Who would've thought that a movie with a title such as Dumb and Dumber would eventually become one of the pillars of Hollywood? 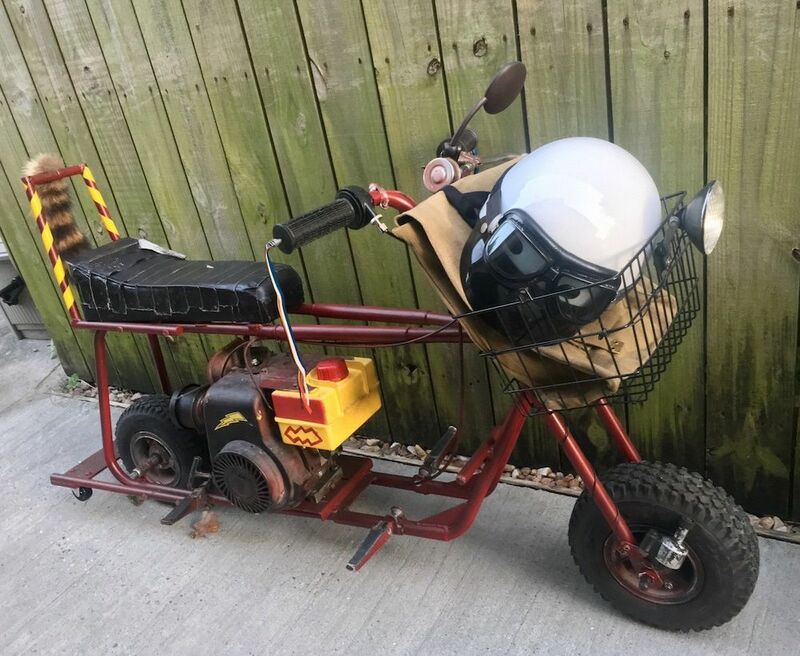 Not many, but it has, and one lucky fan now has the chance to relive one of the best scenes of the film by bidding on the original mini bike used by Jim Carey and Jeff Daniels. 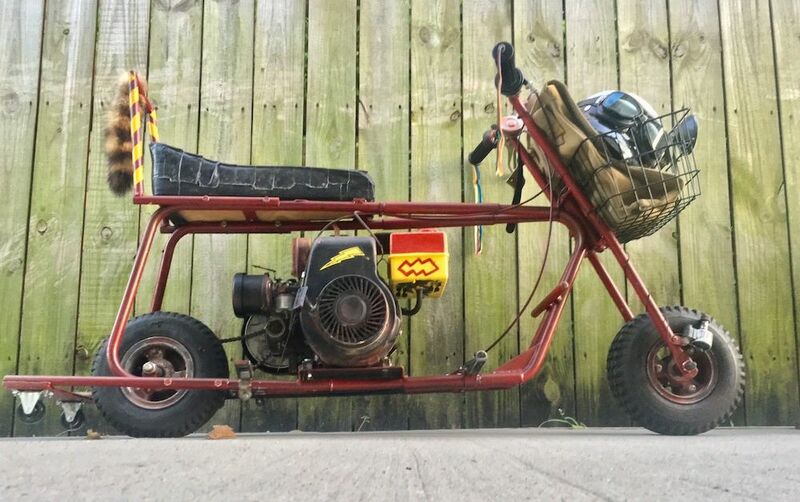 This particular mini bike is one of two created for the 1994 New Line Cinema film, and it's the only one that will ever be for sale since its counterpart is stuffed in a dusty showcase at a Planet Hollywood restaurant, according to the eBay listing. Even though the mini bike didn't play as large of a role as the "Mutt Cutts" van, it was featured during one of the turning points of the movie, when Lloyd and Harry embark on a treacherous journey to Aspen, Colorado so they can return the black briefcase to Mary "Samsonite." The new lucky owner will also bring home the helmet, goggles, brown bag, and black briefcase with the purchase of the mini bike. Sadly, these additional items aren't the actual props from the movie, but they still fulfill their roles as accompanying characters. According to the listing, the mini bike was given to the film's transportation coordinator, Gordie Merrick, who later on sold it to the current owner and seller. As of the time of this writing, the auction is up to $35,867 with little over 24 hours left on the clock. 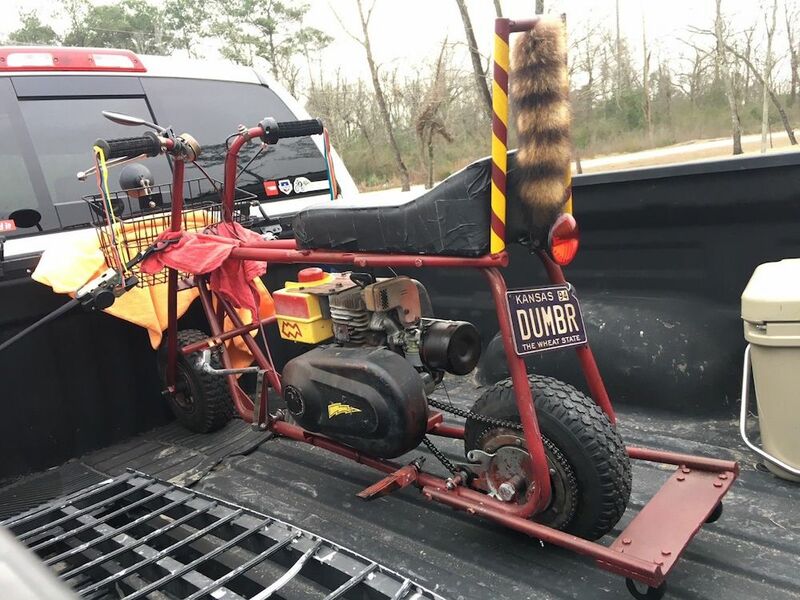 Sure, that's considerably more than the price of a similar mini bike, or any regular motorcycle for that matter, but just think of the bragging rights that come along with this raccoon-tailed bad boy.